This historic Mt. Vernon firehouse has been pristinely preserved and renovated; the result being a modern industrial themed micro-brewery and gastropub that brings in regular locals, tourists and college students from the surrounding area. The owner has agreed to sell both the building as well as the business which has incredible potential to expand and continue to build its reputation for fine craft beer. 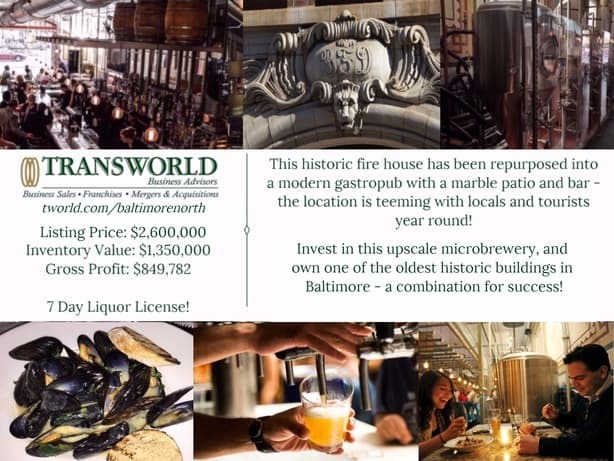 Whether you're interested in owning and operating a brewery or attracted to the idea of owning a landmark such as this one, there's something here for all investors!